PlayerXtreme Media Player is one such app that you can download for free and get an unimaginable experience when enjoying your movies. Lets take a look at some of the features that make this app the perfect movie companion. PlayerXtreme Media Player enables users to sync movie content to their device in such a way that it becomes compatible and ready to play in nearly all formats. This completely eliminates any lengthy conversion processes. Movie metadata including cover art, rating, cast members, genre and description are automatically available with your movies in poster view. Playback powered by 6th Gen Hardware Accelerated Core produces vibrant video and sharper sound. You can boost volume up to 3 times the original sound. This feature is perfect for watching movies without headphones. Subtitles are always nice to have as they greatly compliment the movie being watched. Even if you don’t have subtitles, you can download them within the app easily. Supports subtitles in SRT, TXT, SSA, SMI formats. Tired of the extended wait and the tedious process you have to go through every time you want to transfer something to your iPhone or iPad? Only to find later that the added videos don’t play on your device? Fortunately, you can download PlayerXtreme to avoid this. PlayerXtreme is a media player that not only plays every video format on your iOS device, it also allows for super-easy transfer of videos. Here’s what you need to do. Round up your movies, videos, music and other media files. No need for conversion to make sure they sync with your device. PlayerXtreme is capable of playing all your media easily with support for over 40+ formats. Within the app, go to network and choose to add files “From Browser”. The app will give you a web address, which you can type into a web browser on your computer — make sure your smartphone and computer are connected to the same network. Then, right from within your web browser, you can copy and paste your files to your device. Alternatively, you can use iTunes to add your media files. With the app installed, and your device connected to your PC/Mac, launch iTunes, go to file sharing and just drag and drop your files to PlayerXtreme’s documents. If you have file sharing turned on from your PC/Mac and guest mode is enabled, PlayerXtreme Media Player lets you stream or download your shared content to the app. This is a quick and easy way to access the files stored on your computer. After launching the PlayerXtreme app on your device, go to library. Here, you can view all of the videos and movies you have loaded onto your device, organise them in folders or search through your collections. When you’re ready to watch something just simply tap on a file to play it and enjoy! Its time to bid farewell to 2017 and say hello to an exciting new year. 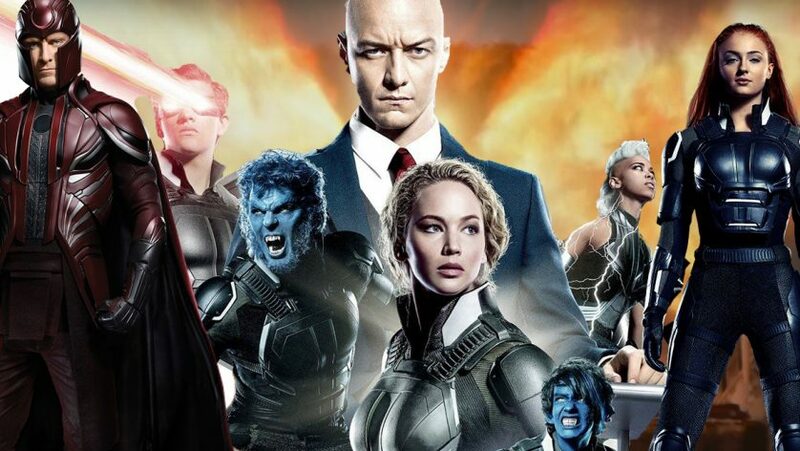 There’s a lot to be expected from 2018 for movie addicts as there are loads of upcoming movie releases and seasons to look forward to. So lets jump right in to the excitement and see some of the most anticipated movies and TV shows coming this year. Black Panther, Avengers: Infinity War, Deadpool 2, The New Mutants, X-Men: Dark Phoenix, Ant-Man and the Wasp, Venom and Aquaman. 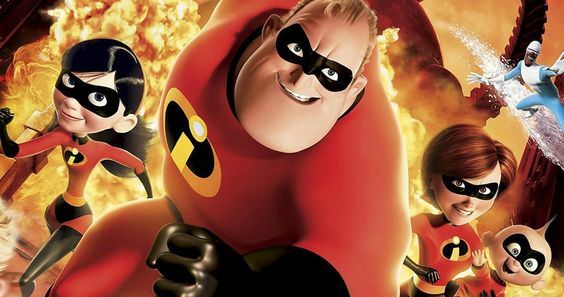 The sequel to the widely popular animated movie by Disney & Pixar is expected to release in June 2018. 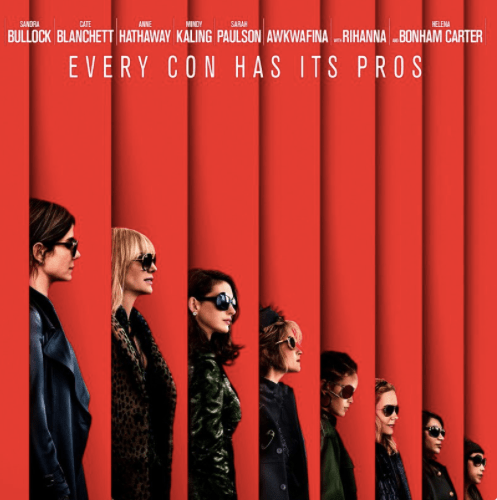 The Ocean’s reboot consists of an all-female cast that includes Rihanna, Sandra Bullock, Cate Blanchett and Sarah Paulson. This is easily one of the most anticipated movies of the year. 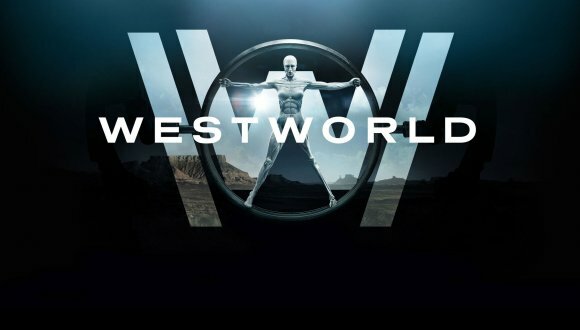 There’s a lot to be expected from the second season of the the Emmy-nominated sci-fi series set to return in Spring, 2018. 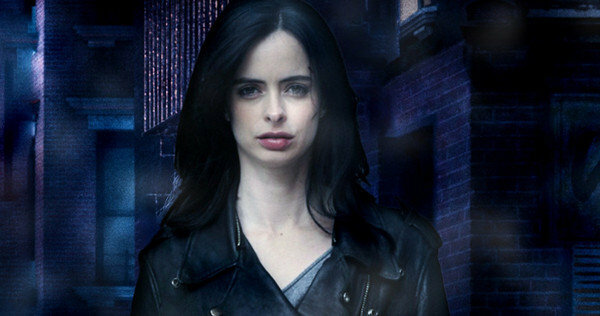 Your favorite Marvel detective is getting a new season full of amazing adventures. This action-packed show is coming back on March 8. If you are excited for the inevitable entertainment that’s to come, then gear up. PlayerXtreme Media Player the best media player app has got you covered. 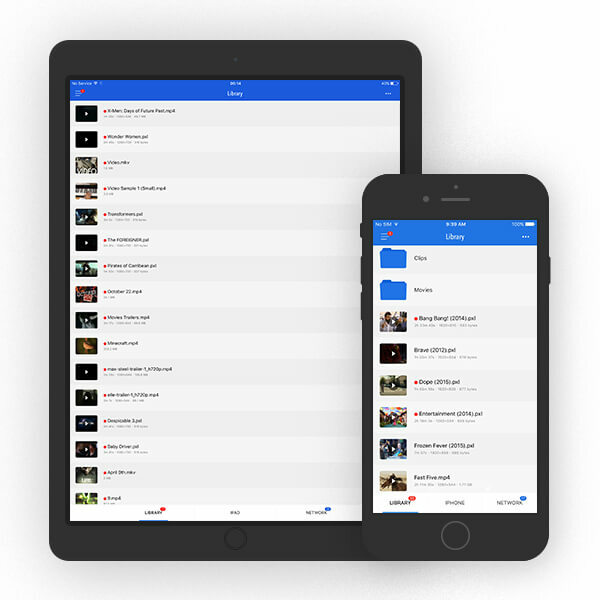 The app will allow you to quickly add your latest media collection to your iPhone/iPad and play it on the go from anywhere. Support for all formats ensures you do not need to convert your files, while hardware acceleration provides a sharper video and sound. Added features like metadata fetching, volume boost and subtitles will help you get the most out of your movies. You can even use Chromecast and Airplay to turn your living room into a mini-theatre and enjoy the show on big screens. Download PlayerXtreme and get the best media watching experience imaginable! There are a growing number of mobile users who are switching to their iPhone/iPad as their primary media device. For these users it isn’t a matter of concern that these devices don’t have the same screen size of a television or laptop. The convenience of having a smart media tool with them on the go is too good to not appreciate. However, the ease doesn’t always come without limitations. 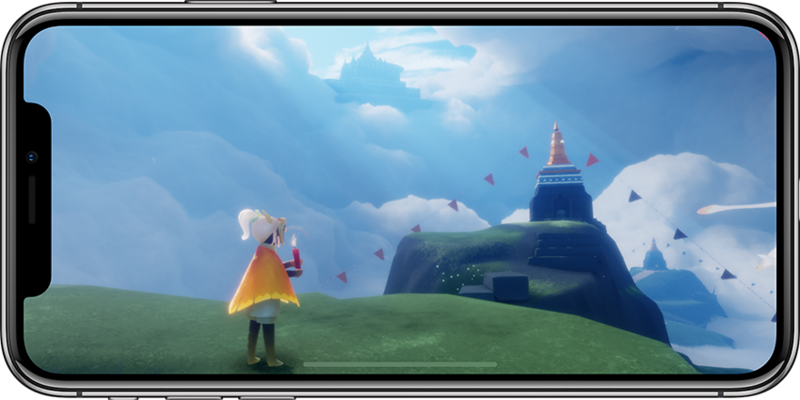 The biggest limitation may be the number of unsupported video formats for native iOS players. Many users have found themselves discovering this the hard way when they transfer their media/movies to their phone/tab and suddenly find themselves staring at the dreaded “Media Not Supported” message. The iPhone, iPad and iPod touch are all great for watching videos and movies, but native players do not support most video formats which are common for movies and TV Series. In fact, many iPads and iPhones are limited to playing H.264 videos if you want high resolutions: most can play MPEG-4 videos but only up to 640×480. There are many non supported video formats that the iOS devices can’t play by default such as wmv, avi, flv, and many more. The issue associated with watching movies on an Apple device is that it must be a specific media file in order to be played. Most media files are simply not compatible unless they are converted using third-party file conversion software. This process can take a long time to include getting the software, converting the video, and then syncing it to the device. Instead of going through this hectic process, PlayerXtreme Media Player enables users to play media content from their device in such a way that it is compatible with nearly all files, completely eliminating the conversion process that would have been required. 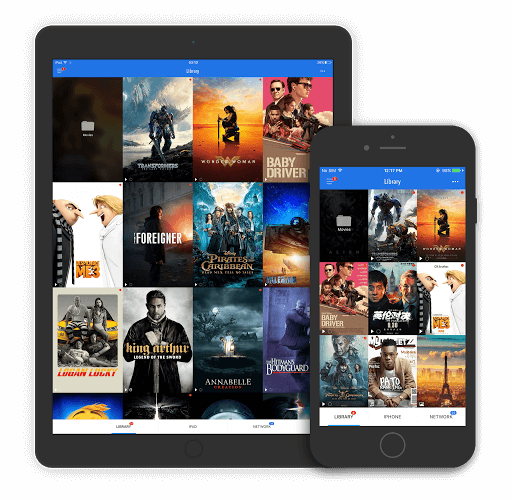 With support for almost all known formats (up to 40+) users just have to load their movies to the app and start watching without having to worry about file conversion. Today, people use smartphones all across the globe for watching their favourite movies. As a matter of fact, for most of these people its hard to imagine how their days would be like without their smartphones. Nowadays, smartphones are not only used for sending messages, making phone calls, taking pictures, or accessing different websites, but also for entertainment. Different mobile apps are available on Android and Apple app stores that can be downloaded to smartphones to play games, listen to music, or watch movies. When it comes to watching movies, PlayerXtreme is one of the best apps that you can try. Smartphone video players and media players like PlayerXtreme have changed the way people watch their movies. 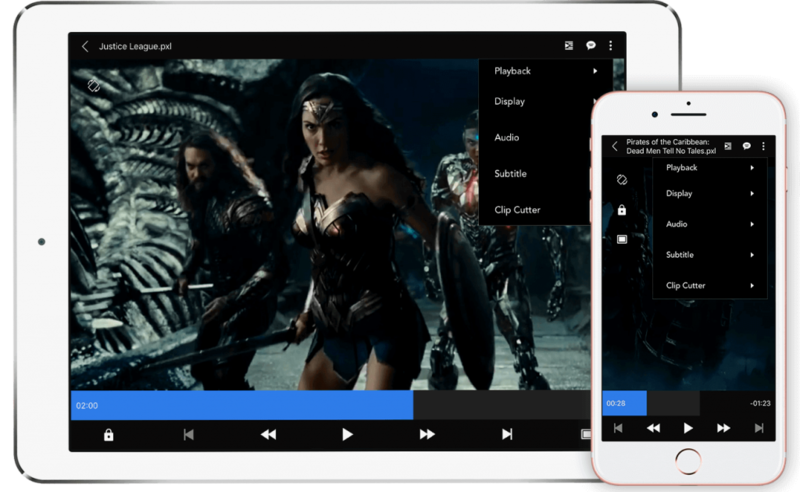 Technology is continuously advancing and the current trend brought about by the surge in media player apps have enhanced the movie watching experience. If you are a movie addict yourself, take a look at some of the reasons that make watching movies on your smartphone worthwhile. Watching movies on smartphones is less time consuming. You can start watching something on your phone almost instantly with just a few taps. This is really valuable if you are travelling or taking a short break from work. You don’t have to spend a considerable amount of time just to start watching something. Smartphone apps like PlayerXtreme let you add and grow your movie collections and store them in a neat and organised way. This ensures that you always have vast options to choose from when deciding what to watch next. Other features like passcode protection and Face ID keep your collection secure at all times. Because smartphones are portable, you can basically take your movies with you and watch them on the go. Moreover, you can enjoy them anywhere you like; at school, the airport or right in the comfort of your living room. This added convenience is one of the many reasons why people opt to watch movies on their smartphones. PlayerXtreme Media Player version 8 is finally here and includes some spectacular changes including added support for the iPhone X, Face ID and a player UI redesign. Useful functionalities such as screen lock and search are also included in this release. So let’s explore further and find out what the latest update has in store for us. 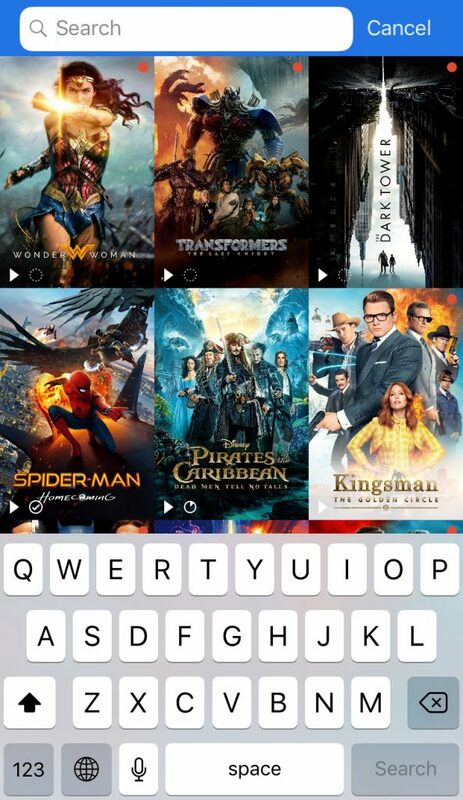 Now enjoy your favorite movies and videos on the iPhone X with PlayerXtreme. The app is now fully compatible to run seamlessly well with the brand new Apple phone. Together, they deliver the best performance and an unmatched movie watching experience. Face ID is now supported and provides intuitive and secure authentication. Its a very convenient way to keep your files safe and quickly unlock the app whenever you want, with a simple glance. With a major tweak to its interface, Xtreme Media Works is proud to present the most attractive and user friendly player you can imagine! Basic functionalities such as Play/Pause, Forward/Rewind as well as screen rotation, aspect ratio adjustment and subtitles will be accessible straight away from the player screen. While additional features like chromecast, airplay, display settings, screenshot, clip cutter and such have now been moved to a separate drop down menu conveniently placed at the top right of the screen. This new design makes it super easy to get to the exact option you are looking for when watching your media. Search functionality has now been put back and is accessible from the top bar in library. Now you can avoid the hassle of going through your media collections and quickly find what you want to watch with just a few taps. Screen lock is now available and can be easily accessed from the player screen. A neat option to have while enjoying your media, as it prevents unintentionally tapping on Play/Pause buttons or seeking the video being played. This especially comes in handy while your kids are watching. You can now keep them entertained without the worry that they can make calls or touch other apps. That’s it for now from Xtreme Media Works, but we have much more in store for you so stay tuned and keep us posted with your thoughts and comments on this update, as well as suggestions for future releases. Share away this post at your convenience. Download Now and enjoy! What Do The New Apple Devices Bring Us? Great things are happening. Apple has announced some sensational changes to its products that will totally change the way you enjoy your media. This news is specially exciting for media lovers and movie addicts who like to sit in the comfort of their living rooms and entertain themselves to the latest new episode or movie. So lets take a quick look at what’s coming. An iPhone unlike any other. iPhone X features an all‑new 5.8‑inch Super Retina HD Display with high resolution and brightness, wide color support, and the best color accuracy in the industry. The device will support 4K resolution to give a crisper picture using four times more pixels than standard HD. Another great addition is the first ever OLED screen on an iPhone which boasts accurate, stunning colors, true blacks, high brightness, and a 1,000,000 to 1 contrast ratio. A great advantage of the iPhone X is its power efficiency with custom battery designed to last much longer than before. This means extended hours of non-stop media enjoyment. Say hello to the new Apple TV. 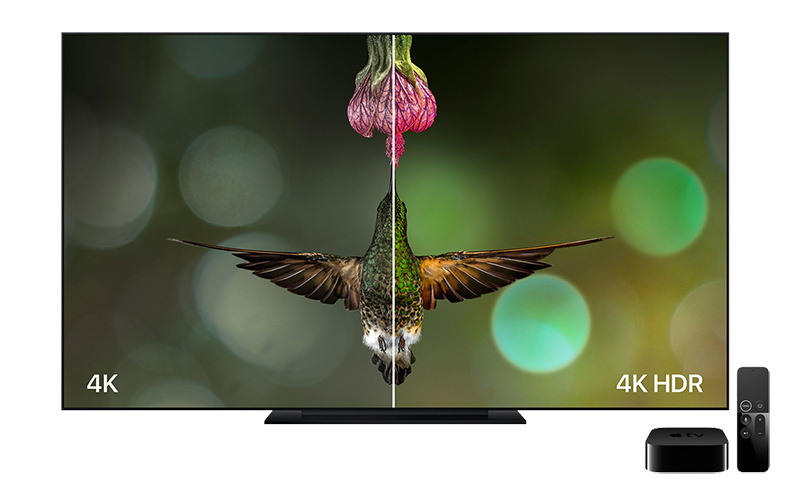 Apple TV 4K takes a huge leap from its predecessor and includes some really impressive features. For starters, it supports 4K resolution similar to the iPhone X. Moreover, technologies such as High Dynamic Range (HDR) and Dolby Vision are also supported which ensures users can enjoy incredible-looking TV shows and movies on any HDR TV. The device has a built-in high-performance 4K video scaler makes HD content look better than ever on a 4K TV. To make things even better, it always outputs the highest resolution possible to allow viewers to get the most out of their TV. Some of its other amazing attributes include automatic screen detection and optimized setup for the best quality picture on any given TV screen. Airplay 2 is coming to iOS 11. With the new AirPlay 2, you can control your home audio system and the speakers throughout your house. You can play a song in the living room and your kitchen at the same time and adjust the volume in any room. You can also have your music start instantly on all your speakers — in sync with one another. This gives you much greater command over your media. We’ll soon be updating our apps to provide support for all the new changes. With PlayerXtreme and the upcoming enhancements from Apple, watching your media will be more realistic, more entertaining and more enjoyable. To sum it up, you’ll get an experience like never before! PlayerXtreme Apple TV and Apple’s New Updates – A Perfect Match! It was undoubtedly an eventful day at Cupertino CA yesterday. Apple unveiled some of its most awaited products including the new Apple TV 4K, iPhone X, iPhone 8 and Watch Series 3. 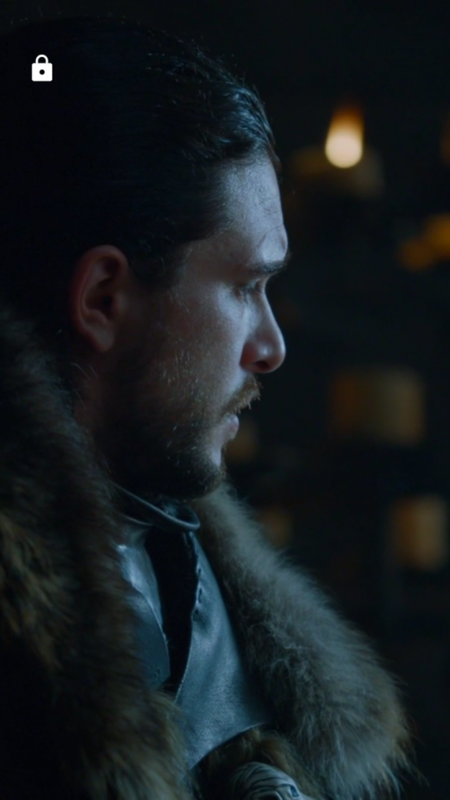 In case you weren’t lucky enough to witness the event live, here’s a recap of what’s to come. Among the headlines was the reveal of the new iPhone X and Apple TV 4K. Both of these devices have gone through a complete overhaul and look more stunning than ever before. To take things to another level, Apple has announced that both these devices will support 4K resolution which provides 4 times the pixels as standard HD does! Support for High Dynamic Range (HDR) and Dolby Vision has also been announced. Now lets look at what the addition of these technologies means for media lovers. In short a much more enjoyable and entertaining media watching experience! We are very excited to let our customers know that PlayerXtreme Media Player would be a great match with newly released hardware and software updates released by Apple. Our dev team plans to release new updates to your favorite PlayerXtreme Media Player app and make it compatible with Apple TV 4K HDR and Dolby Vision. These updates will bring the magic of the cinema straight to your living room! As always, Xtreme Media Works is back again with yet another update to PlayerXtreme Media Player. Version 7.3 comes with a flurry of new functionalities and a handful of fixes and improvements. So without without further ado, lets do a quick probe of the update and see what’s new. List view is undoubtedly a very handy option to have if you have a large number of files stored in the app. It is especially useful for professional, students, instructors who like to arrange lectures, lessons and tutorial videos with ease. List view is particularly handy when it comes to TV series where most of the media files stored are in the form of seasons and episodes. With list view, now its incredibly easy to frisk through your files and find exactly what you need to watch. List view now sits beside the poster and icon view options and can easily be switched. You can also opt to enable list view for your entire app from the settings, which includes library, device and network menus. Streaming through the URL feature saves a history of your watched links. These links can now be cleared easily through the new network history deletion option. This makes it super easy to get rid of old and unwanted URLs. We hope you like this update. Don’t forget to give us your valuable feedback in the comments. We would also love to hear about suggestions for more features you would like to see in the app. You can even share this post on Facebook, Twitter and anywhere else you like, to let your friends know about the new update. Have fun! PlayerXtreme app update comes with an amazing new gallery view specifically designed for watching movies in style. With version v7.1, PlayerXtreme can now intelligently use meta information of your videos and present a beautiful poster view. The feature to add folders from remote server to library and some playback and battery usage improvements are also part of this build. With the all-new poster view, movies can now be organized in a stylish way which makes the movie watching experience even more enjoyable and entertaining. 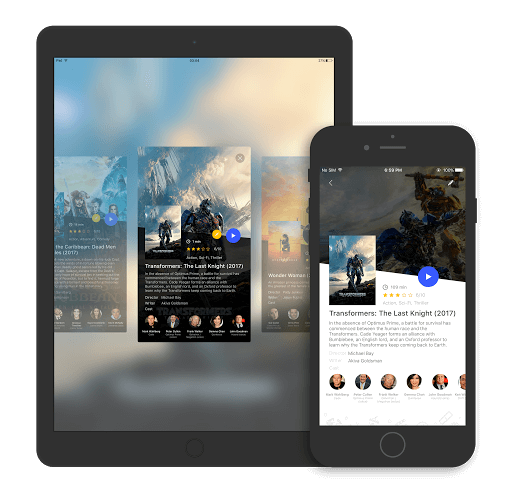 Poster view can be used to instantly add cover art and other meta information for movies, including ratings, description, run time, genre, movie stills and cast members. Users can even edit meta information and manually search and select movie titles to go with all their files. This feature provides an easy way to add folders from remote servers to the library with a single tap. It’s particularly very helpful in organizing your media content across your network in app’s gallery view. It also saves the time and effort to locate these files and folders on network every time user needs them. Some subtle changes to the UI have also been added including an improved download progress indicator and ability to add a folder from network to your gallery. A poster view in gallery and movie details screen populated by an intelligent meta information will greatly enhance the movie watching experience. We hope you like the new update. As always we love hearing from our users so don’t forget to share your thoughts with us. You can also share this post with your friends, family and loved ones to let them know about the update on Facebook, Twitter and anywhere you like! Have fun! and stay tuned as there are many more features yet to be revealed.